Camlok vertical plate clamp. For transportation of sheet and steel plate in the vertical postion. Can also lift from the horizontal and rotate through 180°. Can be used for transporting steel fabrications and profiles. The jaw is opened and closed with a locking lever. 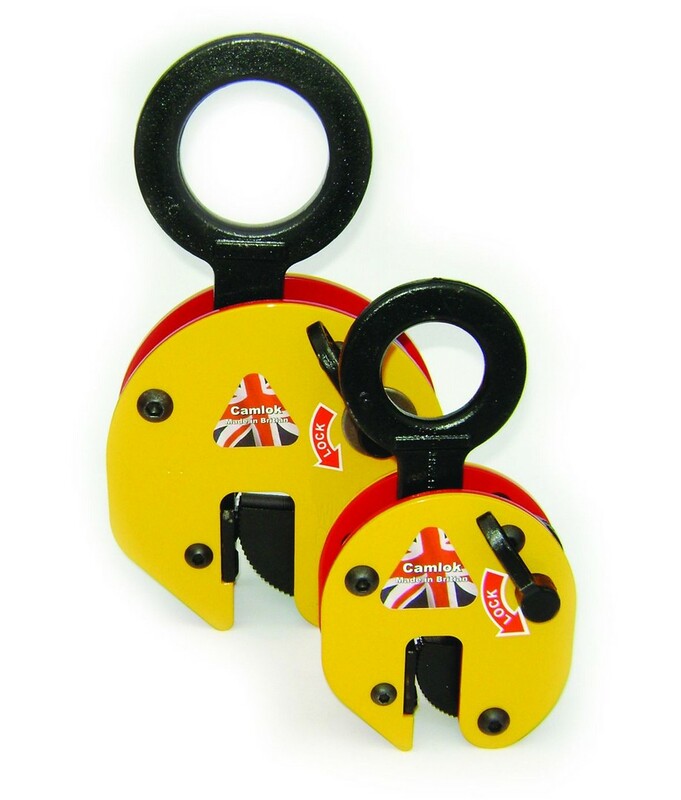 The spring loaded locking cam jaw prevents the clamp opening even with no load. It is recommended to use on pair with a spreader beam for long materials that may sag or flex.